There's nothing cheap about moving money. What should be a simple transfer from one account to another can require piles of paper invoices, checks or online payments, which often involve a hold on funds and the equivalent of Ticketmaster's "convenience charge." The expense and time it takes to get money deposited can gouge a company's profit margins. Jay Bhattacharya decided to address nearly every pain point in the transaction process. 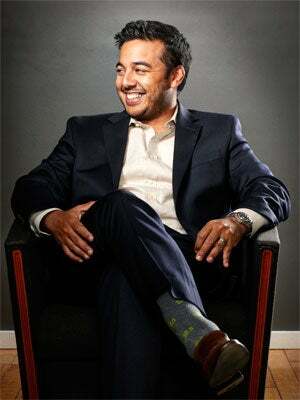 As the former head of Citi Ventures, Citigroup's VC unit, and co-founder of Mobile Money Ventures, which was sold to Intuit in 2011, he knew how to navigate the check-processing infrastructure to slash costs. With Jake Howerton, who had launched tech companies Capanis Networks and iNYC Wireless, he founded New York City-based Zipmark, which allows business owners to bypass costly wire transfers, checks and credit or debit cards. Instead, companies and customers link directly to each other's U.S.-based checking accounts, no multiday approval process required. Zipmark charges the recipient of funds a 1 percent transaction fee ($5 maximum). And unlike PayPal, which can hold funds for an indeterminate amount of time, Zipmark guarantees access to those deposited funds the next day. "Our value to small businesses is to tell them, 'Hey, you're no longer forced to deal with PayPal or credit cards and pay those fees," Bhattacharya says.Businesses can direct customers to a Zipmark payment option on their site or add a QR code to an invoice that takes customers directly to Zipmark's mobile app, where they can submit their payment. More than 5 million small businesses and individuals have access to Zipmark's e-checks, thanks mainly to under-the-radar development partnerships with established business and financial platforms such as Vantiv, Rearden Commerce, Rentshare and WorkingPoint. That's a lot of business for an online payment processor that only came out of beta at the beginning of the year. Bhattacharya says that's due to a measured funding and growth strategy determined with his seed investors, led by Village Ventures. Zipmark closed a total of $2 million in funding in late 2011, but it was doled out across two years via three payments after certain milestones were met: establishing a working system, then a beta version and, finally, exiting beta-testing. It's a common tactic used by VC firms to reduce their exposure and risk. But according to Bhattacharya, this payment structure forced Zipmark to focus on development one step at a time. "By doing that, we've been able to manage expectations and manage risk," he claims. "What I see with a lot of founders is that they'll take on $6 million before they have everything figured out. Then they face the pressure of trying to make a quick return on that investment." Bhattacharya's strategy appealed to Matt Harris, former managing general partner of Village Ventures (and now with Bain Capital Ventures). He was also impressed with the backgrounds of Bhattacharya and Howerton, an appealing combination of banking, product development and product design in financial services. "Between the two of them, the founders have all of those attributes," Harris says. This past summer they were working on an additional $1.7 million round, which Bhattacharya believes will leave Zipmark sufficiently funded for managed growth in the coming years. "We're in the middle of an industry change," he says, "from a 'You can have any color as long as it's black' mentality to one where there's any kind of payment available for any kind of purpose."